I seem to have started a fad several months ago when I downloaded the Ghost Radar app on my BlackBerry and began tweeting about it. A lot of my friends began playing with it too, and subsequently, a lot of questions about its use have come to me. There are several versions of the app, including free versions and paid versions, all for Droid, BlackBerry and iPhone. I’m not sure if the app is available on other smartphones but you may certainly find out by looking through your own apps. I have used the free version for BlackBerry, the paid version for BlackBerry, and the paid version for iPhone. Of those, I have judged the paid version for iPhone to be the best. I would bypass all free versions of this app, however, because it’s rather limited, it doesn’t keep records of your sessions, and there is very little control over how the sessions are operated. Pay the $0.99 on iPhone or $2.99 on BlackBerry. It’s worth the price and does nothing to harm your phone. I have been using the app for several months and in general I find it to be very satisfactory. It does, however, take some practice in learning to use it properly. 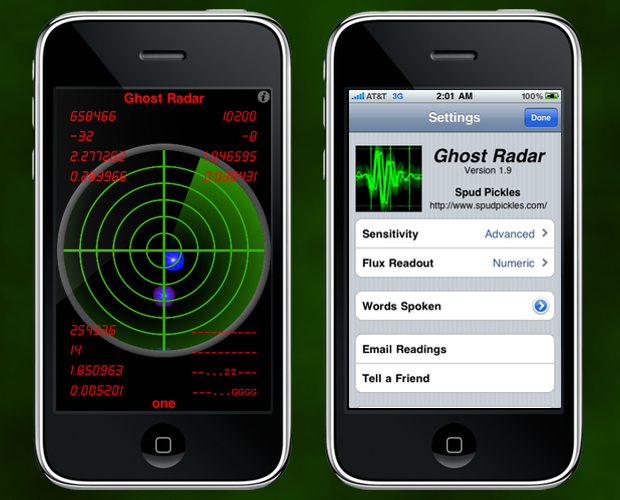 Ghost Radar is a portable application designed to detect paranormal activity. Currently supported portable devices include the iPhone, iPod touch, iPad, BlackBerry and Android devices. 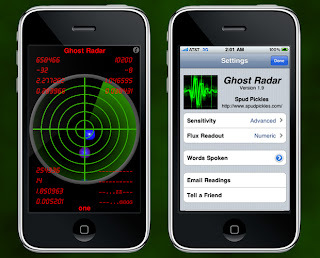 Ghost Radar attempts to detect paranormal activity by using various sensors on the device on which it is running. Like traditional paranormal detecting equipment Ghost Radar employs sensors that measure electromagnetic fields, vibrations, and sounds. However, traditional paranormal equipment can be easily fooled when simple mundane bursts of normal electromagnetic fields, vibrations and sounds occur. Ghost Radar sets itself apart by analyzing the readings from sensors giving indications only when interesting patterns in the readings have been made. Ghost Radar employs a proprietary algorithm to analyze the quantum flux. This application does NOT detect EMF nor gravity. Readings for various sensors are analyzed to detect QUANTUM Fluctuations. Interpretations of the sensor readings are displayed graphically as blips on the radar along with numeric and textual readouts on the VOX. Use your Ghost Radar to hunt for odd changes in the flux. Hunters of all types may find anomalous areas of their environment where readings simply can’t be explained. You be the judge. Are the results of your hunting evidence of paranormal activity? The theory of what is happening is that intelligent energy can be made aware of their ability to influence the sensors of the mobile device. The various readouts are an interpretation of certain readings from the sensors. An intelligent energy should be able to influence the readouts and communicate with you. What those readings mean and how you interpret them is up for debate. I began using this app as a joke. My friend downloaded it, so I thought it would be funny. The more I used it and the more my friends used it, the more we realized this might not be so much of a joke after all. Many of us began receiving words and activity in direct response to questions done in the style of classic EVP sessions. One of the first instances that alerted me to the possibility that something genuine might be happening was when my friend received the word “potatoes” while she was driving. She brushed it off as nothing until she reached her destination a few minutes later and found her grandmother peeling potatoes in the kitchen. Several other similar instances followed from other friends of mine. In my case, I decided I should try to ask questions of my regular entities that would be harder to chalk up to coincidence. I asked if Joshua Lawrence Chamberlain was present and the readings started jumping around and going crazy. I then asked what my brother was doing (we live in different states) and words describing him being in an office and rolling in a chair started appearing on the screen, as did the word Tom, which was what my brother’s name was when Lawrence knew him. I asked my brother what he was doing at that time and all of the words on my radar log matched with his activities. If I didn’t know what my brother was doing, then an inanimate object like a cell phone could not be influenced by any prior knowledge either. Other key words that I have told Lawrence to use with mediums also came up on the screen during that session, which lasted about twenty minutes. The words are specifically uncommon and unique to us in order to prevent false leads through coincidence. Then all activity ceased for several hours. That in itself is telling for me in that if the app was entirely fake, the activity would not correspond with questioning or other forms of activity like noises, shadows, and so forth. I have left the app running for entire 24 hour periods to see how it does and it will be completely dead (excuse the term) for hours and hours at a time. But when I begin seeking an entity, the activity picks up again in most cases. Not long after I began using the app, my friend and I went to the Kennesaw Battlefield to see what kind of results we would get amongst hundreds of Civil War soldiers. Most of the words received that day were military in nature. There were also a lot of words we didn’t understand having to do with a farm, but much later we realized there was a farm heavily involved in the battle. My friend also kept the radar away from me so that I could see if my senses as a medium corresponded with the blips of concentrated energy on the radar screen. Much to our surprise, things matched up in every instance. We also acquired the spirit of Dan McCook from Ohio, who named himself on the screen. As we were walking along, many words came but we didn’t make sense of them until we came to a plaque discussing the work of McCook in Kennesaw. It all made sense then. He followed us to dinner that night and lingered around for a few days before leaving, although he seems to visit my friend at times. He described his family as a tribe and offered names of specific family members, which I knew nothing about until I researched his life later. Almost every word received during the encounter with McCook was matched later with information gathered in research. The likelihood of coincidence became less and less with every matched word. Also during our exploration of Kennesaw, I drove my wheelchair too fast and got stuck on large rocks. My friend came to my rescue and words like “careful” appeared on the screen as if the spirits there were concerned about my accident. The entity who utilizes the Ghost Radar the most in my case is John Wilkes Booth, as I have discussed in another blog. I got several names, including John, and at first the names made no sense to me until a couple of days later when I started doing some reading about him for the project I’m writing for him. I found out that the names being listed on the radar were all of John Wilkes Booth’s siblings. One of the results during that session was actually the phrase “locate Asia” and even though I’m not sure what he meant by that but asking for name and getting Asia was beyond coincidental in my opinion. Asia was his sister and they were very close. I also noticed that every time my friend came over for a visit, within five minutes of her coming into my house, it would say words like “plain” and various other words that described a person’s opinion of her looks and her personality. We both kind of laugh about this because it happens every time she’s here. 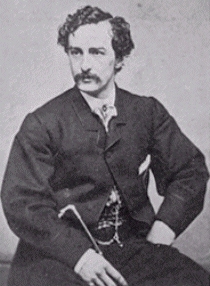 She has rather short hair like a pixie cut and she never wears dresses and she would be considered rather plain by Victorian standards, so we both have this hunch that it’s John Wilkes Booth expressing his opinions about her since he was so used to beautiful, feminine, compliant and swooning women in his lifetime. 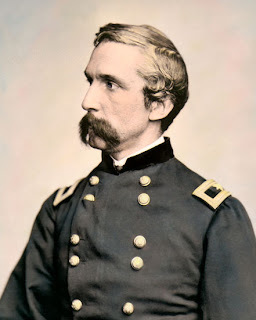 Joshua Lawrence Chamberlain nor my other entities would be so audacious as to express opinions of that nature about someone I love so much like my friend. That kind of audacity has to come from someone with an audacious personality. 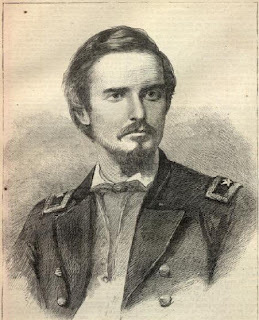 John Wilkes Booth. These are not just assumptions though because there are times when the word John comes up on the screen when I’m looking for identification. How does the Ghost Radar work? I don’t really know. I don’t really know how other paranormal equipment works either. I do, however, have a few tips for people. 2. Don’t pay attention to the words in the first ten minutes of turning on the app. If you notice, every time you turn it on, it seems like all the measurements are going crazy and a lot of words are coming out as well. It’s not because you have a spirit jumping up and down trying to talk to you. It’s because all the energy disruptions in that environment are registering at the same time because it’s not acclimated to reading your environment yet. Give it time to even out before you start looking at it as possible evidence. 3. If the words don’t make sense right away, they might later. For example, I kept getting the word “fire” when I was at home and I never understood it. Later, I went to an antique store and found rather long photographs of fire damage. My area of Atlanta had burned down in a great fire of 1917 that destroyed 300 acres and displaced thousands of people. I was not aware of this fire and had I not found those photographs, the repeated word of fire would never have made sense to me. Typically when words don’t make sense, it is due to one of three reasons: a) the words come from spirits you don’t know and it’s like trying to understand a conversation walking halfway into it, b) the words are random with no meaning and are the result of interpretations of natural fluctuations of energy, or c) spirits having difficulty manipulating the energy to pull the correct word from the dictionary. That is the biggest issue people have – what to do with words that don’t make sense. I have found that it is a matter of patience and a process of elimination. It’s important to get to know the history of your locality and learn about the people who lived in your vicinity before you. I get a lot of words from spirits I don’t know at all because they are simply local to my area. If the words don’t match up with anything known to my area or my regular spirits, I typically try to find out if it’s a spirit passing through my area. Being a medium, I get a lot of unseen passersby. It takes a lot of patience and repetitive questioning to discover the patterns and how to identify this or that spirit. It is also very important to remember that this is not an exact science. This is not a device designed for measuring spirit energy. This is a cell phone using its existing structure to measure possible spirit energy. Therefore, there are going to be nonsensical words and misinterpreted readings of natural energy fluctuations. My advice is to really get to know the history of your locality in order to better understand the words you are receiving. >At first, many of the words didn't make sense to me. Until, about an hour into the second day I used it (on my iPod touch) and it said Ice Porch. There was ice and snow the day before, and I had not gone out to clean off the ice. The next day, it said Richard grew field huge. Richard is my landlord, known to the former owners of the house who are both now dead. And, indeed, Rick hadn't cut the second hay last year. The field was full height. I haven't used it much lately, but I easily figured out at least one of my people is the former owner. >Sounds like a contemporary high tech ouijah board. I’ve been wondering, do this application work in other country which uses different language? My siblings and I were sitting around playing a card game on Christmas Eve this year. It was our first year without our grandparents, they died in this house. My sister and I both have some ‘ability’ and I was showing her the app, forgot I had it on and it said “Rice” which was my grandparents last name. She and I just stopped and stared at each other. Neither of us has been able to feel our grandparents presence since their passings. I’ve been in awe of the app since. I’ve been snowed in at my parents house for a few days now and I leave it on. I’ve had a few things make sense to me, but others are cryptic. I do know there is more than two spirits in the house. I just can’t pinpoint how many. Last night for almost two hours my boyfriend and I were using it. Today we have also been using it. He is a skeptic and said “I think this is a scam, its not real” and right away it said real. Last night he plugged my phone in on the charger and layed it on my stomach with the wire across my chest. Without me asking anything it said “wire”. This app is helpful with the normal things that I can see and hear. My friend Destiny and I are new into this. Going on a Ghost tour in Chattanooga, TN I found out I can see them but not hear them. I can also sense when a strong one is near. We’ve been using the Ghost Radar Classic around my neighborhood mainly my house (Its pretty old) We found a bunch of ghost in my area. But the words we are getting are just random. I can’t hear them but last night I’m sure I saw one outside my window. He was dressed in a old uniform and that is all I could make out. Clarksville, where I live hasn’t really seen much war action. Can someone help us out please? ….My first experience with Ghost Radar ….after the first few minutes of calibration I got the word Asia……need I say more? Ive recently put this app on my Iphone .After an hour or two i went to log in to an email account and just as i was about to type my password in it said “Pass” .Ok !!! A little while after i was about to give my dog some medication in a piece of bagel and was poised with a knife to chop it up and it said “Cut” which was exactly what i was about to do. Then it said ” Blood” and looked up and there were a few cupboards open above my head which if id stood up quickly would have sliced my scalp.Spooky.I like.The thing im curious to know is its said “beauty” when i was looking in the mirror brushing my teeth and “pretty”. Hmmm… I like this appp very much already. I would love to know how the word aspect of this app works. After one use practically every word fitted into my situation. The first time I used it I got the words “choice” “England” “shore” “distant” “country” “rain” “wise” “pick”. I’m currently living on the island of Malta and have recently decided to relocate back to England, it was a hard decision. It also said “Canada” which is the last and only other country I’ve lived in, and was the last time I had to relocate. No other countries were spoken of so this can’t just be random. Crazy! I downloaded this app a month ago but until now I can not understand how it actually work. I downloaded the free version from app world on blackberry to test its ability but. All I can see are several spots on the radar with different colors and lots of numbers. That has no meaning but the random words made me start to question if this app was real!!!!! !can anyone explain to me how it actually works??!! Thank you I now have a better understanding of this app. I have ben going to different ghost tours here in El Paso TX. Still working on the random words. How long do I keep it on ? Maybe u keep it on as long as u want and do u know why it said forty and gone???? Im not getting any words. why? second day into it i was at work making a milkshake and it said cold mixture, then i dropped the milk and it said milk. i was driving and trying to use it and it said observe then it said pay attenion.. I said observe what then it said road. Not that the radar is special or anything, but i think spirits can use any devise that has a lot of words to pick from like radio tv and yes radar, a digital dictionary. I just got the GHOST RADAR – connect version, and i had it on during work. The first few times, letting it settle out and adjust to the surrounding area/energy was fine. But as i had my ear phones plugged in, and thinking this as a ‘joke’, i was very surprised to hear what came thru. I work in an medical billing office. my office is located on Lincoln Ave, and the machine said, “Lincoln” “Street”… which caught my attention. Then it said ‘eat’ @ 1pm, which also happens to be my lunch time. When i was eating AT MY DESK, the voice said “DESK” …. amongst many other words thrown into the mix. Not sure what to make of it…. but all i can say is, i’ll be watching and tuning in to see what else other words will come thru. I just got a smart phone for the first time when I found this app. Personally, I have been “sensitive” to things since I was around 9 or 10. Much more so in the past two or three years. When I started using it, I had quite a bit of activity. Lots of blips and words, but when it said “Bob”, I was shocked. Bob was my step dad. He died in 1991 at age 50 and it devastated me. I think of him constantly so it was pretty cool hearing that! I always write the words down as I get them so.. This has been quite helpful. Thank you. Really like your blog. Since then I have been having the most amazing sessions and I wished to share that to inspire others to experiment with such also. mirror, bow, norway, wealth, russian, movie, expect. I am using the free app…I am from India…after a while my radar says ” Betsy”…but who is Betsy…even generally we don’t have such kind of western names in our country…But I got 2 such names…can anyone help me out? I just downloaded this yesterday. So far I’ve seen just random meaningless words but a while ago I saw a red blip, asked its name and it immediately said “Paul.” Probably a coincidence since last night it also said “David,” followed by “Ann” without me having asked anything. I’ll keep playing with it. Hi there ~ I’m new to this too , but I have been bombarded by spirits wanting to talk . I always knew they were here , but didn’t expect so much and this is only the second day I’ve used it. And ,these are not words that don’t make sense. It’s amazing . We’ve lived here for 30 years and my Mother passed away here. Now that we’re retirement age , my husband wants to sell our home , but I worry that she is here and won’t be able to come with me . As strange as that sounds, she did not believe in any of this as she was a very devoted Christian and was taught that spirit communication is bad because they’re all believed to be demons. I’m a Christian too , but I don’t share that belief. Too many things have happened to me over the years to be denied. There’s good and bad in all , spirits included. I am Rakshan. I downloaded the paid version of this app. when I started this app for the first time the words gone crazy. after sometime many words came like Henry, drown, saw, conversation, Sally, etc. but then it said Debbie, I thought this app was a joke and I simply asked “where are you”, it said only one word “door”, I was scarred because I was sitting behind a door. suddenly next second radar showed a blip in the place where the door is. and then I asked “what do you want”, it said “drown”, “major”, “brown”. I’m confused with the last conversation. please help me. Hi, quite an interesting app but can anyone tell me how will the spirits communicate where nobody speaks English. My app shows English words but I live in an area where there is no chance the spirits would know English. One night I was worried about my husband (long story), but I left the bedroom and went downstairs to sleep on the couch. I turned this app on for the heck of it and it told me “Mr.”, “asleep”, and then his name! It completely freaked me out but it was true. Another time I asked it where “Spot” (my cat) was because she was missing. It told me “cat” but no answer as to where she was Very cool. After reading your experiences with Ghost Radar Classic I was very amazed. It’s because 30 minutes before I’ve read your blog I’ve used my brother’s Ghost Radar Classic App. I don’t know if my brother was scared that time but when he looked at the clock he suddenly said “Oh no! It’s already 3 am in the morning” then the voice in his smartphone says “COMFORTABLE”. Then I said this words loudly and faced to the spot of the red signal “Oh! So you thought we were scared”. Then suddenly the phone signaled that it’s battery is nearly empty then my brother was about to plug his phone to the charger when the phone says “PORT”. We both stopped for a little while then another word says “USING”. That time there were three signals of ghost in front of us simultaneously disappeared a minute before we are about to close the application… It was really quite creepy but there was an application we’ve used just like Ghost Radar Classic that really senses ghost talking to each other showing the words they we’re saying… We even sensed a red signal into that app and said “THEY KNOW”. I immediately understood what he meant. We only sensed them inside our room roaming around us. Others says “FUTURE” and suddenly one fast red signal appeared and was getting near us then another blue signal appeared just onto our position and immediately says “RUN AWAY”.. Then both signals disappeared.. VERY CREEPY… It’s called GHOST DETECTOR ULTIMATE if your interested. It’s just like GR Classic and is much more creepy to use.. Exciting and Scary!!! Also, my back has been bothering me so I was in my room laying down. It said “johnson/lay/room.” Johnson is my last name. So idk about anyone else but im conviced. I had the application running while at work. I had the words Dutch & Sad come up just as I was working on a case. It was a very sad case I was dealing with, and looked up the meaning of the patient’s last name, lone behold it was of Dutch background. I was a solid believer after that. Recently got Legacy. While I think it is really just for fun and most probably just random words from a database, I could not ignore that it said the name of a friend that I was intending to call, and that it said “born” and “Pennsylvania” in that order. I happened to have been born in PA. The only thing I could think of is that the app is somehow accessing text messages, but nowhere in my texts do I remember speaking of where I was born. It is pretty interesting. I am going to say that is really just for entertainment and not a serious paranormal investigation tool, but for 99 cents it is a cool app. I highly recommend echovox, too. Thanks! I put my LG G3 on the charger and let the app run. while i was playing a facebook word game i was struggling to find a word, the app said the word “motor”, so i said out loud, “are you trying to help me?” and immediately a response said “yes”. So i said thank you. LOL btw there was no possible way to make the word motor. but i love this app. its interesting. There is absolutely no such thing as “quantum flux” in real science. Even if there was, one would need millions of dollars to investigate anything on the quantum level (that is what they are doing at CERN in Switzerland!). I am both a Civil/Structural Engineer and a Psychic Medium. I also tutor Physics. The spirit world is very real to me, but that is no reason to get the science incorrect. This program just like the OVILUS probably detects changes in the Electromagnetic Field. “QUANTUM FLUX” IS just a marketing tool!! I would say out of 500 words, maybe 25 apply to my life at any one time. Some are very personal. However, the other 475 HAVE ABSOLUTELY NO BEARING ON MY LIFE! I can do the exact same thing this device does by randomly paging through a dictionary!! Try it. I would say actual Mediumship or seeing a Psychic is about a thousand more times accurate than this program. Uh….I had it say Incubus….turned that puppy off immediately. A couple of years ago we were being plagued by ants in our kitchen. I sealed around the door and window frames and that seemed to work. Then one day I was in the kitchen and the Ghost Radar app was running on my android phone. I then noticed several ants running along the inside window sill. The app suddenly said 3 words…ANTS…ABLE…RETURN. Coincidence ? Incredible one if it was. I noticed there was a tiny gap in the sealant around the door. Hey Gang, I’m very interested in this app but after watching all kinds of ghost hunting shows(Ghost Adventures is the best, on t.v.anyway), I’m very aware of all the Ins and Outs of Ghost hunting. What would you Believers say to Protecting yourself from unwanted or uninvited activity or communications? Wouldn’t want anything following or even attaching itself to me!! Can you recommend any Dos or Don’ts before And after a session? I saw one person say you have to make a stern statement about Not communicating with you without permission After a session. I am new to using it so for the moment I just turn it on in different locations and observe and listen without interacting with it or asking questions. Recently I was sitting in a nursing home waiting area. I turned it on, and set it on a table. A little while later my water bottle, which had about 2 ounces of water left in it, tipped over when I leaned against the table. Some water splashed on the floor. IMMEDIATELY Ghost Radar said “wet” “electrical” “equipment” in exactly that order, the words about three seconds apart. I had grabbed a paper towel to dry the table top. When I looked UNDER the table, I saw that some water had splashed against the wall and trickled down next to a power strip on the floor with four cords plugged into it. I have had other accurate things happen with it as well. It will be awhile before I use this on an investigation or before I ask it questions. I try not to react to it or interact with it yet without proper preparation because, as with a Ouija board, I do not want to open a portal. I have been investigating since the mid 1980s so I am always very cautious with an investigative tool that is new to me. My 7 year old granddaughter put this on my phone one night as we were getting ready to go to bed. She was spending the night at my son’s house. I have a bedroom there. She opened the app on my I-phone. So many ghosts kept appearing all over the room. It kept saying their names and how old each one was. One said it was over 700 years old. She could see them moving around in the room very quickly. I turned it off. I opened the app only two more times in other locations. Each time I have had multiple entities surround me. Naming off their names and ages. I could also hear voices coming through my phone. Too creepy for me whether it is real or not.